When one of the owners of Jay Peak purchased fellow Vermont ski resort, Burke Mountain, a combo ski pass was inevitable. Having history with both mountains, Small Mammal was asked to help create an identity for the new pass. We started by developing a history for the two mountains, and from that, a name and identity. Were they on the same side? And if so, why had they not worked together in the past? Were they rivals? And why? 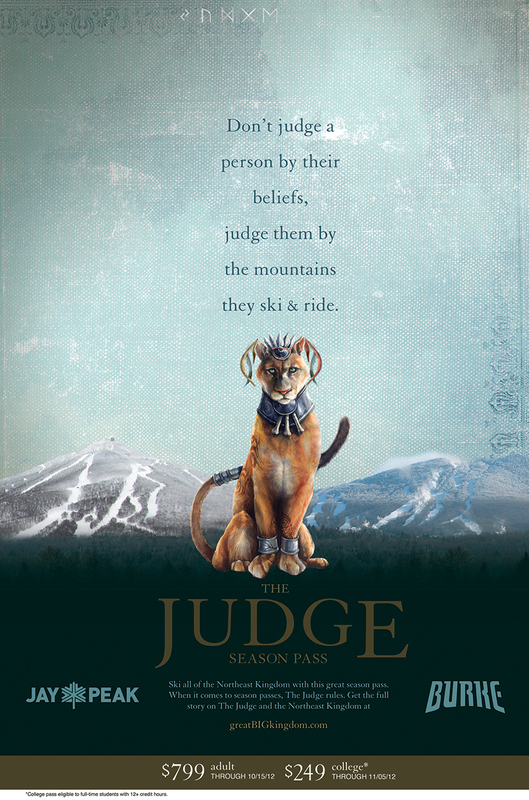 The Judge Pass, and a mythical illustrated history–complete with walking mountains and a cat was born. 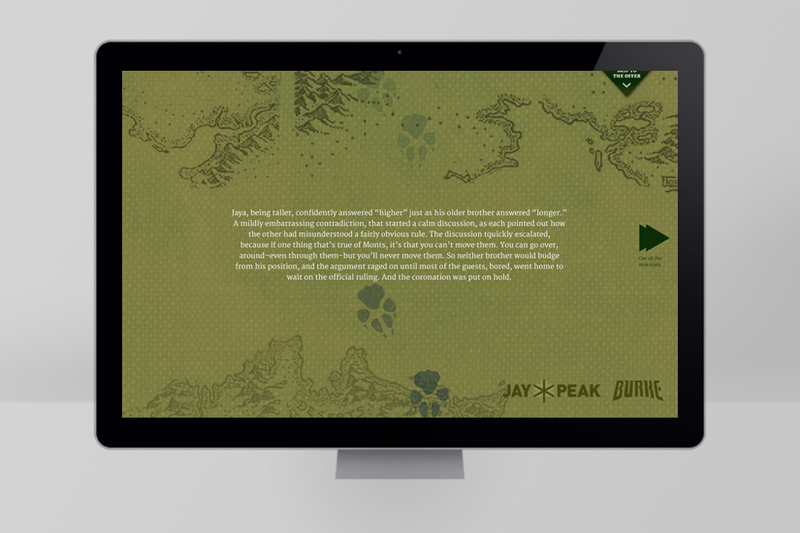 Radio and print pushed to a microsite that told the rest of the story and linked to stores for purchase. Judge Season Pass totals exceeded sales goals in the Burke online store.